How often should I service my bearings? At Kogel Bearings we get a lot questions about the service interval of our bearings. The official answer is that you should service your bearings once per year. It is not difficult to see that this is a very generic, almost randomly chosen time period. It does not take the mileage, weather conditions, bicycle type or overall maintenance of the bicycle into consideration. In order to give a more detailed answer to the questions about bearing service, let’s have a look at what causes the need for service. This one is very obvious: just like mud on your chain, water and sand make an excellent paste to grind the internal parts of your precious bearings to pieces. In our production facilities we spend an unbelievable amount of time to polish the balls and races that are used for our bearings. After that, we consider the process to be finished. You are probably not going to improve the polish quality during your ride. When your bearings are contaminated, you can easily feel this by removing the cranks or wheel axle, sticking your finger inside the bearing and spinning it. Smooth spinning is good, the slightest hint of gritty feeling is due to stuff inside your bearing that should not be there. This is what our competitors bearings looked like after three muddy rides. Some TLC is due. The PF30-24 on the right is boxfresh and ready for action. Being not much of a scientist and a lot of a common sense guy myself, being honest with yourself brings a lot of answers. Did your last mountain bike adventures involve river crossings? Have you been out riding in the rain? Did you take your bike to the carwash and not tell anyone about this horrible offense? In all cases it is good to give your bearings (and complete bike while you’re at it) a quick check. Our high quality hybrid ceramic bearings require very little lubrication. During production we usually fill them a bit more than necessary, since we feel that your bearings should be for everyday use and not a race day or velodrome only product. While the road bearings feel very smooth rolling out of the box, they usually feel better after a couple hundred miles. This is due to the grease being pushed to the sides of the bearings, leaving only a thin film on the raceways and balls. Since the bearings are made to run with minimal amounts of our Secret Grease Mix, I consider it not so much of a factor for the service interval. A light swishy swishy sound (as opposed to scraping and grinding sound to stay fully scientific) coming from your bottom bracket while spinning the crank is not necessarily a bad thing. Most of our bearings sound like that after break in. The 1 year interval is probably a good indication here, unless you are lucky enough to find time to ride over 10.000 miles per year of course. Remember common sense! Have a look at this video, which was shot while preparing some sample bearings for the UnitedHealthcare team time trial camp. These bearings are running completely dry. The riders were given bearings that had only a drop of oil with the intention to give them a top level performance that lasts for about 50 miles. The bearing seals are one of the few parts on your bike where a non-moving part is pressed against a moving part. By definition this causes friction and friction causes wear. Compare it to skidding your rear tire on the road or trail. 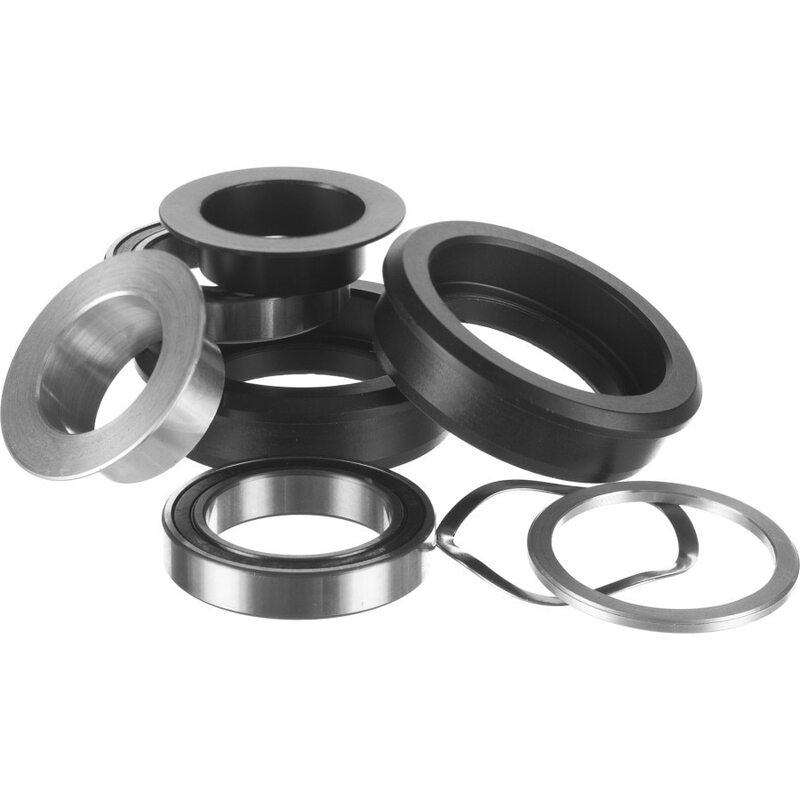 Bearing seals wear out over time, changing the quality from ‘fully sealed’ to ‘fully unprotected’. They are also cheap and easy to install. For anyone that has ever tried to remove a bearing seal without damaging it, you know it’s a gamble. I have tried it once or twice myself and consider it a 50/50 chance of success. Let us take the frustration out of it for you, it really feels good to be able to yank those seals out without caring if you bend or break them. It will save you some time too. Do this with every bearing service and you will live a happier life, promise! 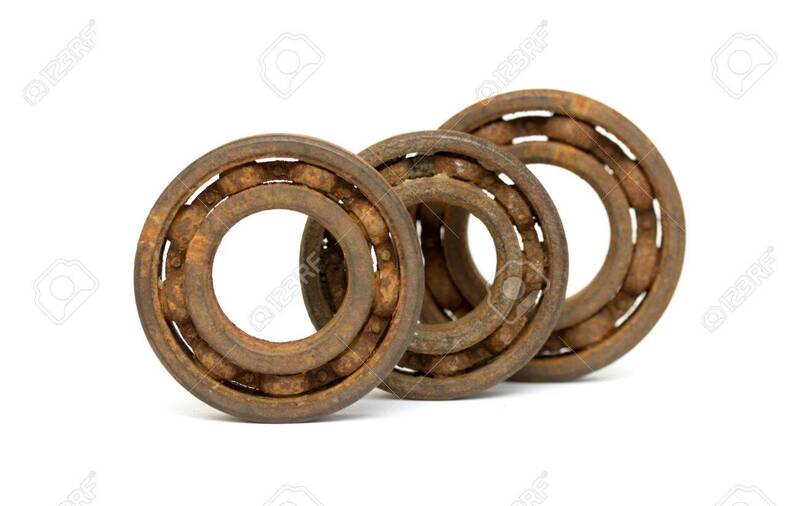 In conclusion to all the above: Officially we recommend to service Kogel Bearings once per year, but this does not mean you can ignore these hard workers that sit at the center of every rotating part of your bicyle. Keep an eye out for contamination, at least minimal lubrication and replace those seals with every service. In a next blog post we will show a step by step of how to perform a bearing service. Ceramic bearing upgrades come in all shapes and sizes. First there are the different parts of the bike that can be upgraded, then there is a plethora of brands and non-branded products to choose from. There are three main parts of the bicycle where ceramic bearings can bring benefits over steel bearings: the wheels, bottom bracket and derailleur pulleys. The bottom bracket is a central part of the bicycle. It is similar to the transmission in a car in a way that it handles all the power transfer between the engine and wheels. Where a car transmission only handles forces along the central axis, a bottom bracket deals with oscillating movements and side loads due to the pedaling. There can be some lateral load due to wave washers or crank bolts that are tightened too much. Our bottom bracket is living a rough life down there! Needless to say that quality is key here. A quick search on Ebay teaches us that ceramic bottom brackets are available from $35 plus shipping. From the tests we have done, these bottom brackets are hit and miss. Some are decent, some take only a few weeks before the bearings are pulverized. Ceramicspeed is the gold standard by which all other bearings are measured. They sponsor many of the world’s best athletes, and like your Oakley shades, that reflects in the price. Their bottom brackets typically cost $269, or $369 if you choose to go with the coated bearing races. As a reference: Kogel Bearings range between $160 and $190, depending on the model. A typical bicycle wheel set runs on six bearings: two in the front hub, two in the rear hub and two in the freehub. The biggest challenge is often to find out which bearings go where. With the wheel set in hand, it is easy for a mechanic: just open the hub and note the bearing numbers, or measure the size of each bearing, which usually can be done without removing the bearings. An internet search can sometimes prevent this work, but some brands are notoriously secretive about their bearing sizes. For easy comparison we have determined the cost of an upgrade for two common hub types. Ebay search results tell us a cost of $58 for a set of DTSwiss 240s and $54 for a set of 2015 zipp hubs of whichever was the cheapest we could find. Enduro zero comes in at $224 for the DTSwiss hubs and $234 for the Zipp hubs. Ceramicspeed leaves the shop with you for either $519 or $779, depending on your choice for coated races. Kogel Bearings offers different bearings for road and off road use. Both retail at $260 for six bearings. Kogel has a flat fee pricing of $260 for six bearings, regardless of wheel type. In part two of this post we will look at derailleur pulleys and draw conclusions on the total cost of ownership. Understanding bottom bracket issues. And why the standards are here to stay. The good old bottom bracket, the silent work horse, hidden deep down inside the bicycle. Well, silent is referring to the ideal world in this case. With the explosion of bottom bracket and crank standards we have witnessed in the last decade, the bottom bracket has turned into a bike part that seems to be in constant need of attention. Today I will try to find out what led to this situation and if there is a light at the end of the tunnel. Many times in magazines, articles or forum posts we read that the bottom brackets of today are too confusing, and that is absolutely true. As a former shop owner, I always dreaded the moment when a customer walked into the shop with a random crank and frame in hand. I know I lost 20 minutes at that point: first determine the standard of the frame, then the crank, then try to find the right pieces to fit them in a huge online ordering system. But has this ever been different? Way back when bottom brackets were still called ‘square taper’, there was Shimano which would not fit with Campagnolo. There was Italian or English and in none of those cases a road BB would fit on a mountain bike. And then there was chain line: I found the right bottom bracket, but need a 118mm instead of a 113mm to keep my crank arms from jamming into the frame. Like modern day bottom brackets, internal spindles developed over time. After square taper we were ‘blessed’ with ISIS , Octalink, hollow tech II, Ultra Torque, BB30, GXP Power torque and Over Torque. And that is only on cranks! Frames spun out of control in a very similar way with a dozen press fit variations: BB30, PressFit30, PressFit without 30 which is also known as BB86 unless it is on a mountain bike, then it is called BB92 but it might measure 92.5 or 89.5 millimeter depending on the brand. You lost me somewhere in there? I don’t blame you. Trying to fit a crank and frame seems about as easy as predicting the Euro/Dollar conversion rate for the next month. Bottom braket standards can be confusing and overwhelming. The reason for this is that bicycle manufacturers are constantly looking for stiffer and lighter frame constructions. Sometimes this involves true innovations, sometimes it involves innovating for the sake of changing things for the new model year. Heck, one of the biggest players in the industry has used ‘Innovate or die’ as an advertising slogan for years. Another trend I have seen in the bicycle industry is a constant diversification. The village bike shop that does everything on two wheels has long vanished. Nowadays there are specialized shops for commuters, road bikes and mountain bikes. Looking at the car industry, this development has gone much further. It is close to impossible to drive your Dodge into a BMW dealer for an oil change or to replace a light bulb, leave alone if something has gone off in the electronics. This is the auto industry’s way of making sure that the car they sold at low margin will keep coming back to the dealer for expensive service visits. Along this path, almost every major frame designer is trying to integrate proprietary parts that can only be bought through their dealer network. It is not possible for a Trek dealer to order spare parts for a Specialized frame or Roval wheels. How can we fix all these bottom bracket fitting problems? I see a few solutions. The most obvious one is to always buy a complete bicycle from a brand. For the lifespan of the bike you will be replacing parts from the same manufacturers as the one that came in the catalogue. This is a good solution, unless you did not like a certain part that came on the standard build. 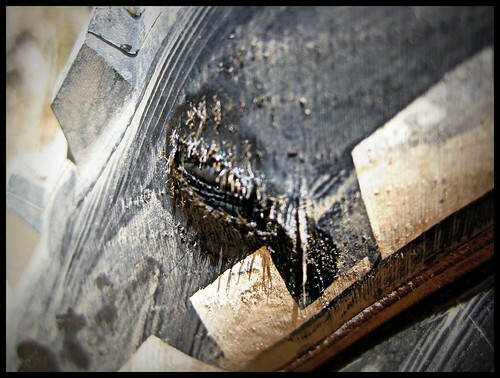 What if you love your new cross country racing rig, but the brakes came from a brand that is notorious for quality issues? It also takes all the fun out of customizing your bike or completely building it part for part from the ground up. Downlad the kogel bottom bracket chart here, to make your life a bit easier. As for bottom brackets, at Kogel Bearings we see a future in smaller boutique brands that have the ability to do small production runs and be quick to act when new fit issues arise. We pride ourselves in fitting any crank and any frame without adapters. Similar solutions are available from other brands for chain rings and setting up mountain bikes with a non-proprietary 1X drive train. As long as the bicycle industry runs on creative people and small-time entrepreneurs, you will always be able to find a solution for your problems. It might take a bit of digging, though. In part 1 of this blog post, we looked at different bottom bracket types and at adapters. Part two will go a bit more in depth about the best location for bearings and installation techniques. Imagine the bottom bracket area of your bike to be very similar to the transmission in a car. You can have the strongest engine and the widest tires with the most grip. As long as the parts connecting them are not as stiff as they should be, all that power is not going to result in maximum acceleration. Bottom bracket stiffness is super important. Besides avoiding plastic and unnecessary parts, you want to look at a bottom bracket with a wide bearing stance. The closer the bearings are to the crank arms, the wider the base for your spindle to rest on. This translates in a stiff set up and speaking from our experience, a lot less wear on the bearings. A clear demonstration of a narrow bottom bracket shell mated with a long crank spindle. All the adapter space is wasted real estate. Moving the bearings as far out as possible will increase stiffness and bearing life. This is something to consider for any press fit type bottom bracket. Threaded bottom brackets are installed with the appropriate tool and removed with the same. Installing and removing threaded cups is done with the same tool. Switch to anything pressed and information is all over the place: instructions range from using Loctite to epoxy to grease or nothing at all. In our opinion, you should think about removing a bottom bracket before installing it: anything glued into the frame is going to leave a residue, which needs to be removed before installing something new. In the case of epoxy, this could mean you spend the next twenty minutes toying with a box cutter or Dremel tool. Kogel Bearings prefers grease for installation. It helps the bottom bracket slide into place, helps to silence potential creaking points and can be cleaned with a rag after removal. any loctite or epoxy used in a bottom bracket is going to dry out and needs to be removed before the next installation. This can be a time consuming task. While you are thinking about removing a bottom bracket, have a look on the inside of the cups. Press fit bottom brackets are often removed with a hammer and some sort of punch. Now look on the inside of your cup, is there something your tool can grip on and take a beating if the cups are tight in the frame? Notice how we did not speak about weight? If you follow all these steps (alu cups, wide stance, quality build), you will no doubt end up with a bottom bracket that is a handful of grams heavier than a plastic, narrow stance bottom bracket with adapters. In our eyes, there are only a few grams to be saved on a bottom bracket and if choosing those extra grams is going to help you transfer more of your watts to the road, they are well spent. Ball bearings are at the bottom of every spec sheet. They’re hidden in the bike, nobody is going to give you a thumbs up when you show up at the group ride with new ball bearings. Typically bike and frame manufacturers spend as little money as possible on bearings and at Kogel Bearings we understand why from a commercial point of view. A bike in a catalog or on a shop floor gains instant value with aero handlebars or a branded stem. Expensive bearings? Not so much. Is this the sole reason why people typically do not care about their bearings? News flash! Ball bearings are at the heart of anything that turns on a bicycle. Wouldn’t it be great if all those circular motions were a bit more efficient, robbing you of a little bit less leg power? The theory behind ball bearings is easy: rounder and smoother rolls better. Steel balls start off as a metal wire and after a lot of cutting, grinding and polishing, they end up as the shiny bits we recognize. The key to quality is in the finishing. The rough work is done by rolling the balls between two spinning plates, a process similar to rolling a ball of dough between your hands. In between these operations, the balls get heat treated to make them harder and at the end they are polished in a very similar machine. The quality is often determined by the amount of time the balls spend in each operation. The roundness, size and surface smoothness defines the quality level, called grade. This number ranges between 2000 and 3. A lower grade number represents a tighter tolerance and higher quality ball. In bicycles any number between 300 and 3 is common. Most ceramic balls in bicycle applications are made of Silicon Nitride (or Si3N4, if you’re a chemist). This wonderful material is harder than steel and can be polished to a much smoother and rounder ball than it’s steel counterpart. This in the end will cause less drag in the bearing. Another great feature is that the material does not rust, so even in a hybrid ceramic bearing, the balls cannot fuse to the races. The downside of Silicon Nitride is that the balls are hard, but brittle. Imagine them being made out of compressed sand. Once the hard outer layer chips, or the ball breaks, it usually falls apart. This is very common in inferior quality balls and one of the reasons why ceramic bearings have a bad rep for their durability. Cost is an aspect to consider. Quality ceramic balls are expensive to produce. Since the polishing of Kogel Bearings takes more than three weeks, it puts our bearings in another price bracket than any steel bearing. This higher purchase price is partially compensated by the longer bearing life of a quality ceramic balls vs a steel or ‘cheap’ ceramic ball. Ceramic balls can be polished to a mirror finish and have extremely tight tolerances as can be seen in this 6 inch diameter example. Here’s a cool Discovery Channel video of the production process involved in making radial ball bearings that are most common in bicycles. In part 2 of this post we will speak more about the races, seals and grease used in a ball bearing. Stay tuned! ** If you have any questions about Kogel Bearings, ball bearings in general or our Ball Bearing Adventures, please ask them either in the comments section below, one of our social media channels or by email via info@kogel.cc. We will answer them in a highly professional, but not always scientific way. We do not shy away from many subjects. Please ask, we are here to answer.